Richard Havlick’s fascination with snowshoes began when he was a teenager. His mother brought home a pair of snowshoes that she bought in a garage sale. Intrigued with snowshoe design, he wanted to make his own. This was the beginning of the Havlick Snowshoe Company. For more than 45 years, Havlick’s passion for making snowshoes has persevered. Starting in the basement of his home, Havlick experimented with making wooden shoes. The first pairs were made from split ash with raw hide for the lacing. Once the design was established and the kinks worked out, Havlick sold snowshoes through mail order business. While the business grew and moved to other quarters in the town of Mayfield, N.Y., at the foot of the Adirondacks, selling directly to customers continues to this day. No middle man is necessary. Customers can order by phone or online. The original model has been reconstructed and redesigned many times. 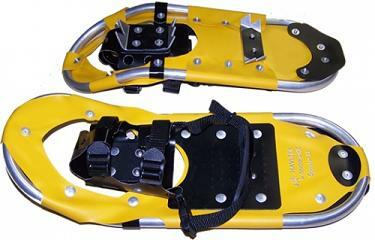 From the first wooden snowshoes evolved the current model, a tempered aircraft aluminum tubing. There are several advantages of this high tech snowshoe. First, this shoe supports weight and at the same time moves through the snow with little resistance. 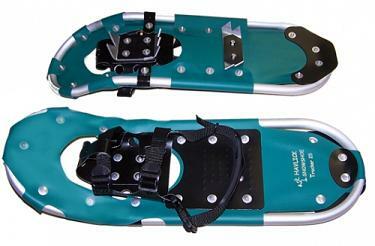 Because the aluminum frame is narrower than conventional snowshoes, a more normal gait is possible which reduces the amount of effort put into walking. Additionally, the frame runs straight and allows for short turns. It handles well in brush or fallen limbs. Cleats on the bindings and under the heel make the shoe very stable and there’s enough grip to secure footing. The bindings have very little side play ou se procurer du viagra. Adjust a strap over the foot pad and with one pull on the heel strap, you’re set to go. Release of the shoe is easy. These bindings can be positioned to any foot or any type of boot. Wherever there is snow, you might see a pair of Havlick snowshoes. From Maine to Alaska, snowshoers praise the Havlick model. For more information on Havlick Snowshoe Co.